Published by: Link Kit, Inc. ? Language: English and 9 other languages ? If the game crashes after app updates, please check the information in the application Web site. [Game Introduction] A simple action defense game set in the Snowball fight. 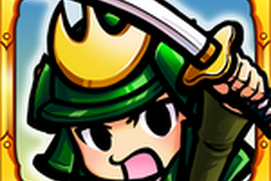 Defend your castle from approaching enemies! * Download "SNOW WORLD" for free * Some paid content is available, but you can play this game for free until the very end! * Basic Actions * Tap on an enemy to aim at them. Your snowmen will take care of the rest. Enemies will move towards your castle gate, so take aim and stop them from getting too close! * Tactics triggered!! Revolutionized the tactical situation!! * *Wide variety of Tactics to use* ・Counter Enemy parties with "Penguin Troopes" ・Repair your castle walls with "Penguin Builders" …and more!! Choose your tactics wisely to overcome difficult situations! 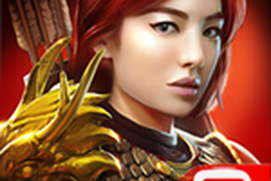 * Player Training * Level up your soldiers and Tactics, and repel wave after wave of enemy invasions! 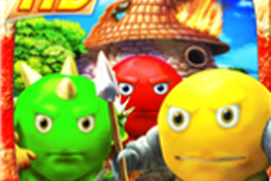 Customize and grow your own powerful army! *Useful Items* Use items to diversify your strategies and gain advantage in battle!! [Story] Far in the South, in a cold, icy island… There was a magical Snow Crystal that gave life to Snowmen. The Snowmen lived peacefully with the penguins of the island, and built a kingdom with them. However… G- G- G- G- G- … An evil Emperor penguin now schemes to steal the Snow Crystal for himself. The Emperor penguin uses evil powers to control monsters, and is attempting to invade the kingdom! Snowmen Unite! Cooperate with your penguin allies and protect the Snow Crystal!! Far in the South, in a cold, icy island… There was a magical Snow Crystal that gave life to Snowmen. The Snowmen lived peacefully with the penguins of the island, and built a kingdom with them. An evil Emperor penguin now schemes to steal the Snow Crystal for himself. 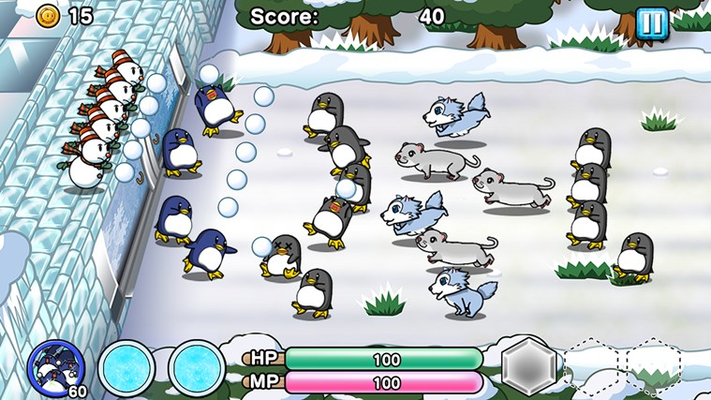 The Emperor penguin uses evil powers to control monsters, and is attempting to invade the kingdom! Overwhelming exhilaration! 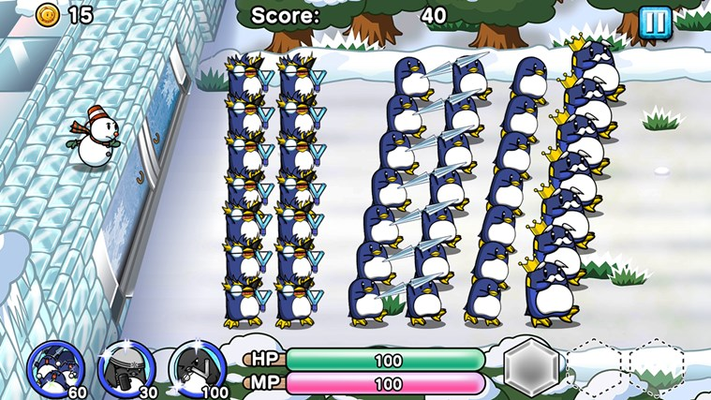 That's a must, clash of the penguins army each other! [Goal] You must lead your forces in the defense of the castle. [Let's introduce your friends! ] 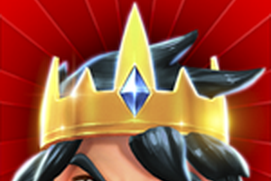 When you introduce to five of your friends, you can win rare character "Queen of Ice"! Since the award is also given to invited friends, both advances the game deals. [Endurance mode released] Challenge to your limits! And get the limited character only available this mode to break through the "endurance mode" that enemy appears in continuously until you clear the stage! [After another to update in the future] New stage and boss will be added thrilled! Do not miss an update! ------------------------------------------------------------ [Price] App: free * This game is free to download. This game contains some non-free items but you can enjoy this game to the end for free! [The world view] Japan's first! Authentic snowy fantasy! 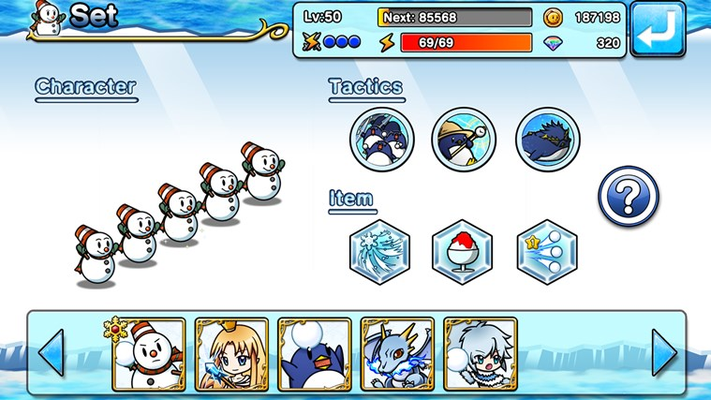 To fully defend your frozen castle from more than 100 kinds of monsters to approach in snow country! [Genre] Easy action strategy (multi-line type tower defense game) ------------------------------------------------------------ [Official Site] http://www.linkkit.co.jp/sw/en/ [Facebook site] https://www.facebook.com/linkkit.snowworld [List of recommended devices/To customers who can't get the game to start] http://www.linkkit.co.jp/sw/en/help.html * Support on devices not listed in the link cannot be guaranteed. We thank you in advance for your understanding. * Individual replies will not be made regarding plans for recommended devices. * Initial startup download may take several minutes depending on signal strength. Please wait until loading is finished and don't turn off the app. 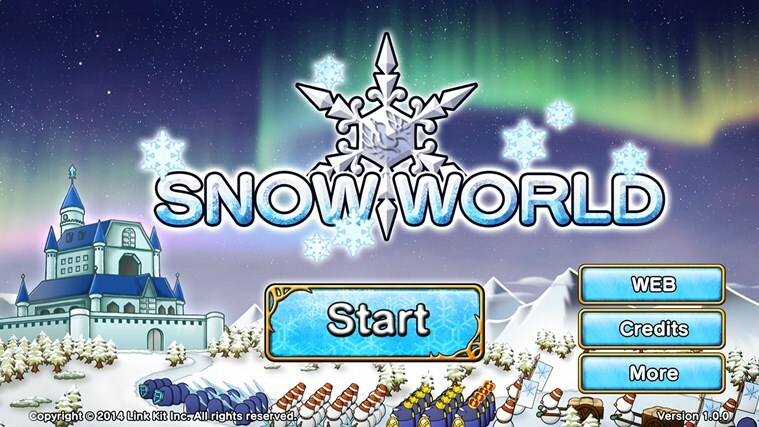 * To enjoy "Snow World" comfortably, it is recommended to play in a wi-fi environment. This is a great game. TRY IT! this game is sooooooo cool!!!!!!! I want to pass 2-1 (castle level 1) and 1-10 (tree level 10) ,I like penguins to!! !